What Do You Want To Be When You Growup? Having 2 boys (13 & 8 years old) who are growing up quickly, I try to encourage them to consider trying new things to see what excites them. As a parent we can only hope that our children find something that they enjoy that can help them be successful and prosper in life. Often we see parents who will tell their children ‘you are going to be a doctor, you are going to be an engineer, you are going to be a realtor’ (ok, I made that last one up) but we have all seen it! That is fine and many children, with the guidance from their parents become very successful and prosperous in life. Being a realtor, I have the luxury of driving my boys to school in the morning and there is something magical about the conversations that occur in the car (especially when only of them is with me). Somehow these kids have a chance to ‘open up’ to me and tell me what is on their mind. OK, they are captive in an isolated soundproof booth and that helps. 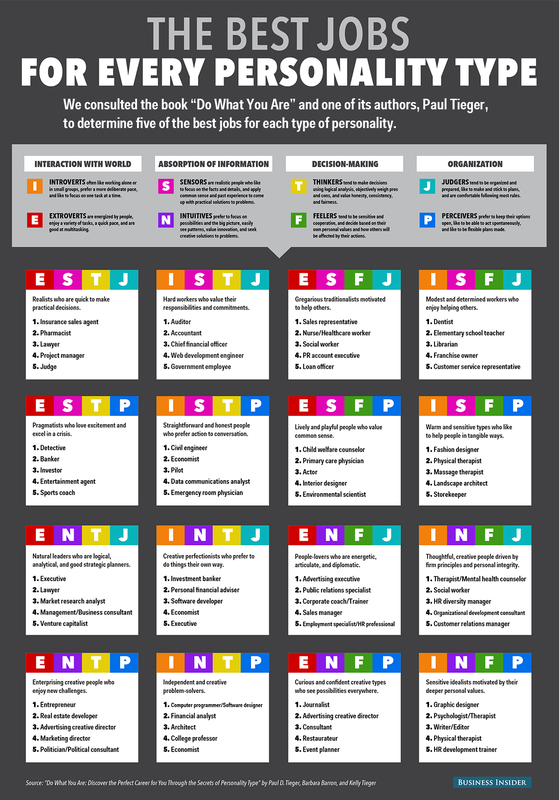 There are MANY theories on how to understand personality traits and one of the more popular is the Myers-Briggs Type Indicator (MBTI) assessment. The MBTI was designed to help you better understand what makes you tick, how you relate to others, and how you can benefit from this knowledge in everyday life. Again, there are many theories to consider. Start having the conversation with your kids on what they want to be when they grow up. Hopefully they will be happy, healthy and successful in what they choose to do! The children are our future. We are so fortunate here in Santa Clara to have some of the best schools in the Bay Area and we still retain that small-town sense of community. Whether visiting the Library near central park, swimming at the International Swim center (which has delivered 71 Olympic medals during its proud history), or attending a 49ers game at Levi Stadium, Santa Clara is simply an amazing place to call home! Call me TODAY to set up a consultation on your Real Estate goals.